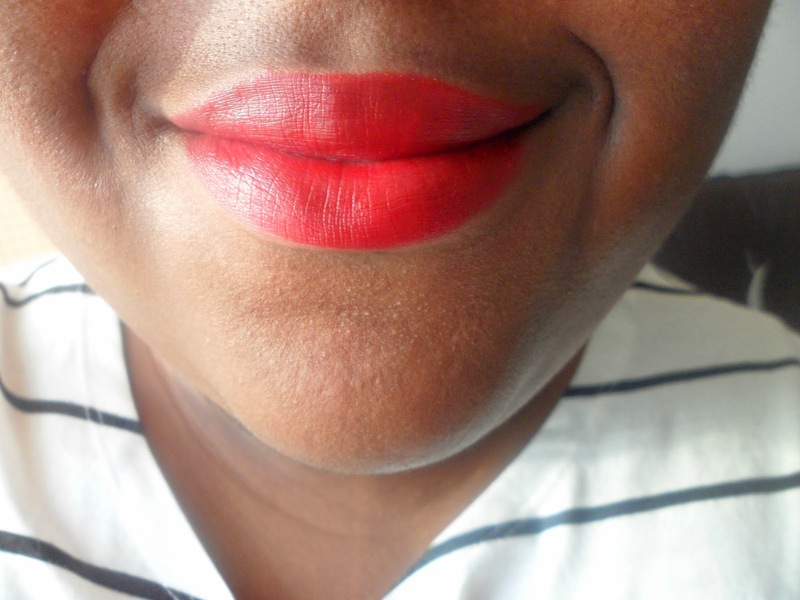 Beauty // Review: Top 5 Favourite Red Lipstick's. The thought of wearing red lipstick always used to scare me. I always thought wearing red's on my lips would make me look way too over the top. Fast forward a year later, I have now realised that practically every red is different from each other. There can be dark reds, there can be light reds. 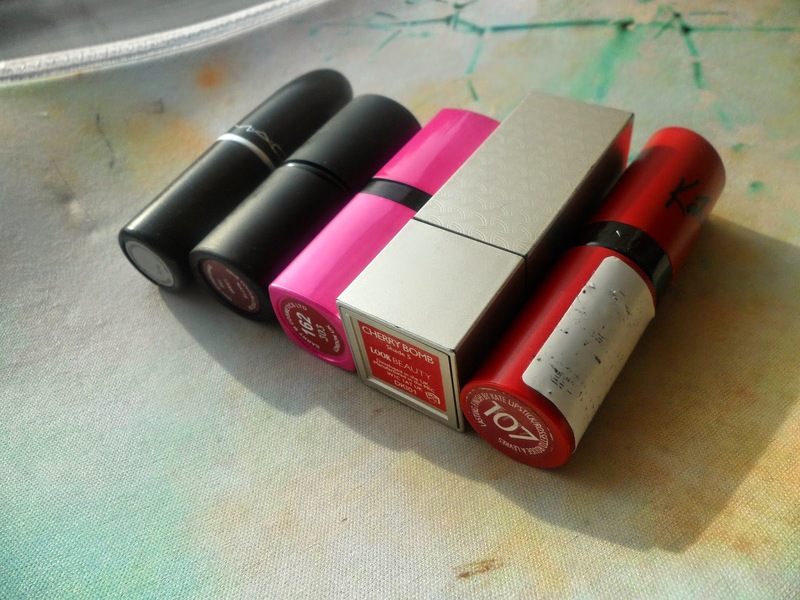 I pretty much live in red lipstick, even though I am currently loving my pinks at the moment. 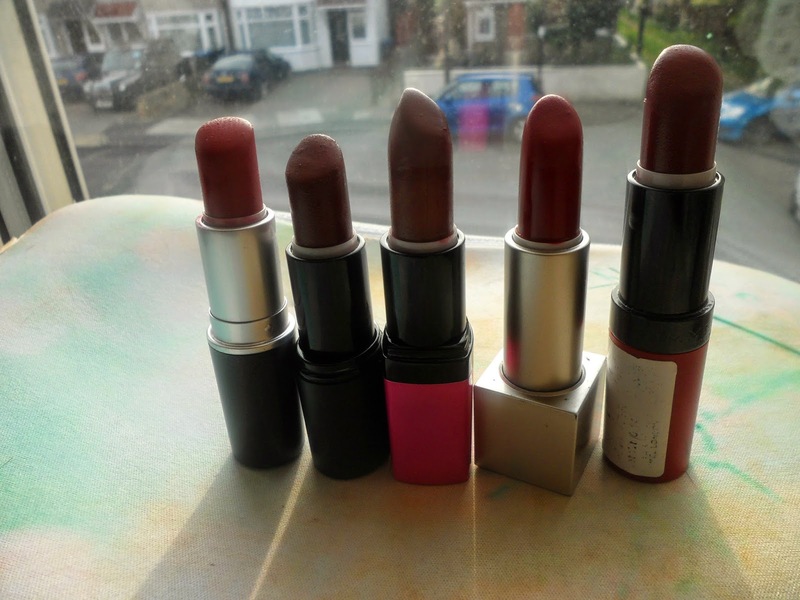 I thought I'd share with you my top 5 favourite red lipsticks seeing as my lipstick collection is never ending. 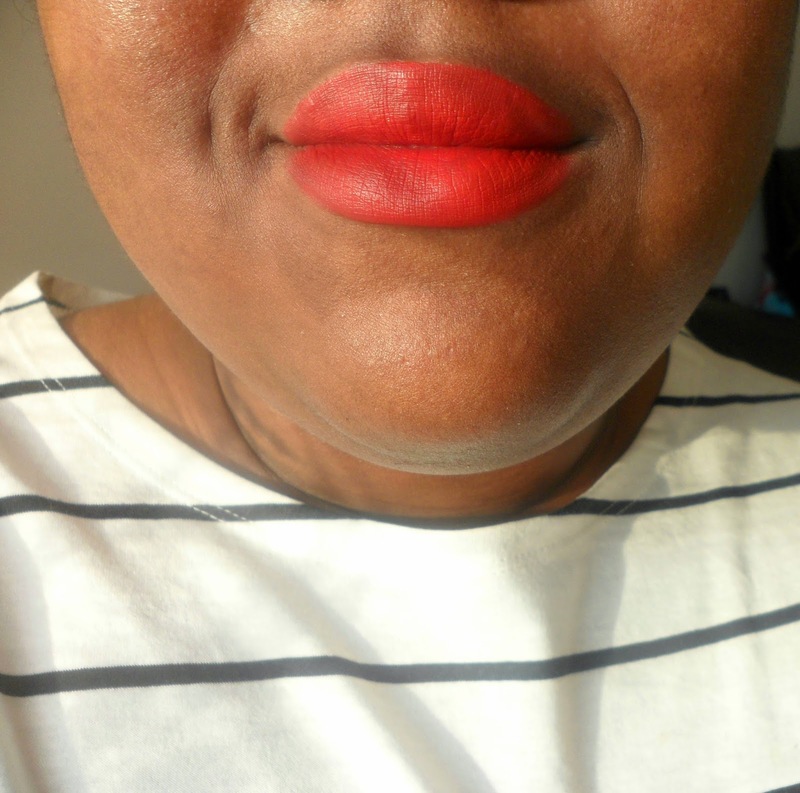 Russian Red has to be one of my all time favourite lipsticks. I always find myself reaching for it on a night out as there is nothing better than wearing something bold on your lips. It definitely has some hints of orange in it which makes me feel comfortable about trying out orange lipsticks. It's a matte lipstick but I've never found it to be drying on the lips. 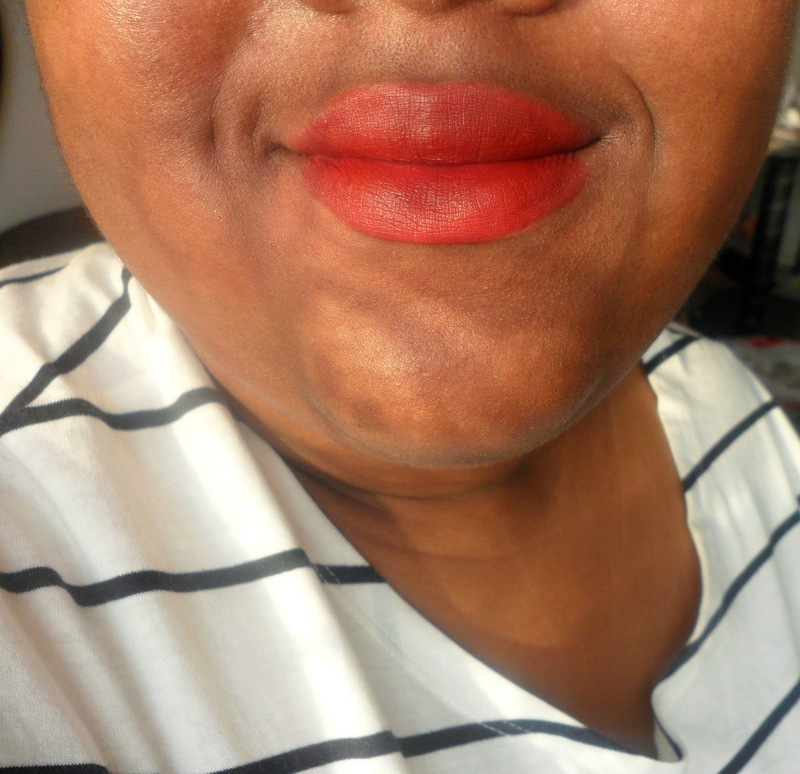 It's definitely a great recommended red, a lot of people are afraid to try red lipsticks but once you try Russian Red out I think it'll give you the confidence to give red a go. Vamp was one of my first purchases when trying to build up my reds. I just recently rediscovered my love for it. 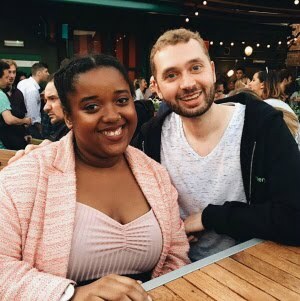 It's kind of a strange red shade for me as sometimes it appears very red and then other times (like in the picture of me wearing it) almost as if it's a brown. Nonetheless, it's still such a gorgeous shade.It's a great colour to wear at all times. Yet again, this is another matte. I just have such a love for matte lipsticks as the ones I own are never too drying on the lips. The ultra moisturising lipsticks from Barry M are most definitely underrated. The collection has some of the most gorgeous colours I've ever seen. My favourite of course has to be Cranberry Red. I think it definitely looks very plumb-ish but once applied you can see it's a quite shiny red. It's enriched with cocoa butter to leave lips feeling super hydrated. This is another great everyday lipstick. Honestly, once you've got into wearing red lipstick you'll soon realise it isn't quite as scary as you used to think. 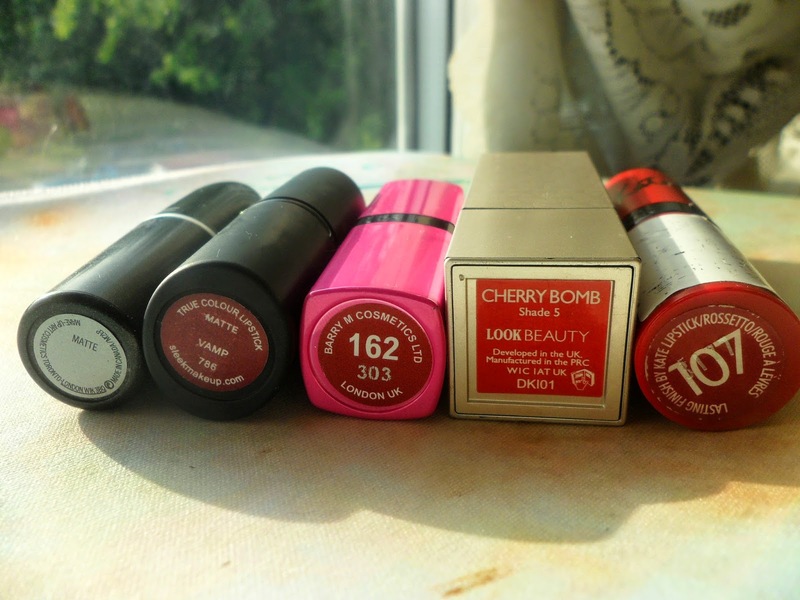 I'd been meaning to get a full review of Cherry Bomb from Look Beauty up. 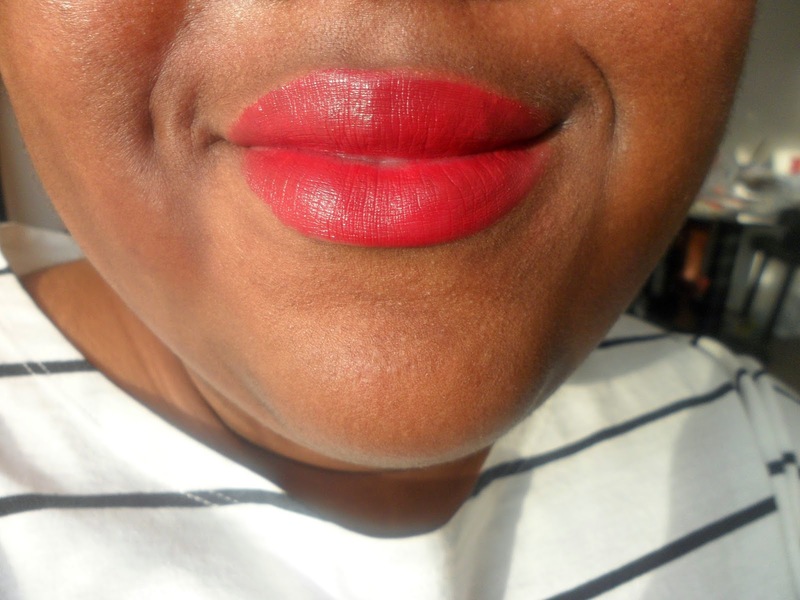 Apart from 107, I have never fallen in love with a lipstick so much like I did with this one. A while back I was buying a gift on Superdrug but didn't quite spend enough to claim free UK delivery. I searched around for something cheap to throw into my basket and settled for Cherry Bomb. As it was rather cheap, around £3 I wasn't really expecting much from it but damn, I was so wrong. From the packaging to the brightness of it, it just ticks all the right boxes for me. It most definitely made me think twice on judging the quality of a lipstick just because of its price. I'm pretty sure I used to go on about 107 way too much on here. If you're looking to build up some red lipsticks then it's always good to have at least one or a few plum colours in your collection. When I'm stuck on what lipstick to wear I'll always reach for 107 as it really will go with any outfit. 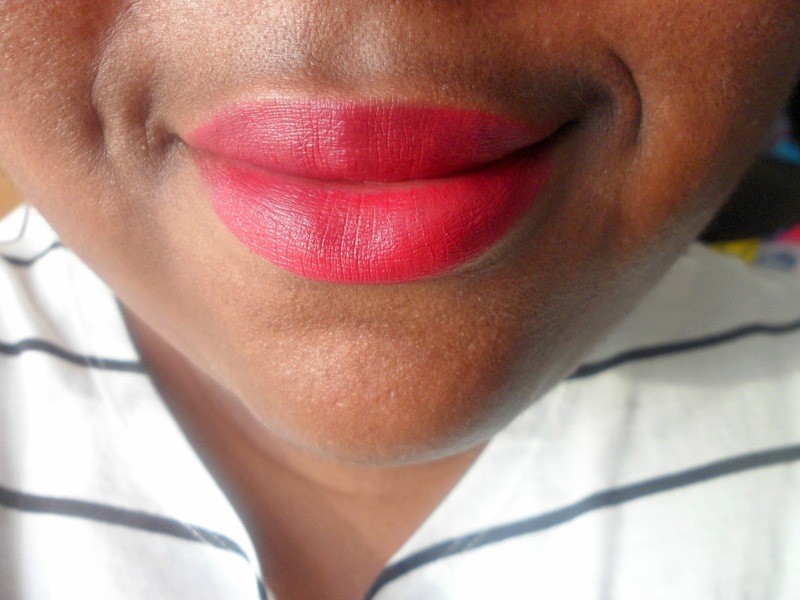 It's my number one favourite matte lipstick.If you're scared to fully get into the bright reds then starting off with a nice plumb red like this is perfect. Do you have a favourite red lipstick? Fashion // OOTD: It's Like A Dark Paradise.